What causes people to be unforgiving? Have you every asked yourself that? Do you ever wonder or do you just accept that unforgiveness is a part of life or your right to do so? We know that at the core of unforgiveness is deeply rooted anger and disgust but is the inability to forgive planted in the same crop? As I’ve learned and sought out to learn about personalities, the far more forgiving I have become of people who are different from me. As you age, learn and grow, it’s quite natural to become far more tolerable of opinions that are far removed from your own. People that you once had a disdain for, you begin to see them in a different light. You are now able to see the person and the personality and how the two don’t always work in unison. I’ve learned that what I once believed to be intentional discord isn’t always what it seems. I’ve learned that long-term, being unforgiving can harden our hearts. We are called to forgive even our enemies and much of the time that’s hard to do and yet, it would behoove us to work at it. Even thinking about such words as unforgiving, harboring, hostility and other unkind words bring about an uncomfortable feeling. It’s not something that I’d like to carry on my shoulders. I really like the quote in the picture above. 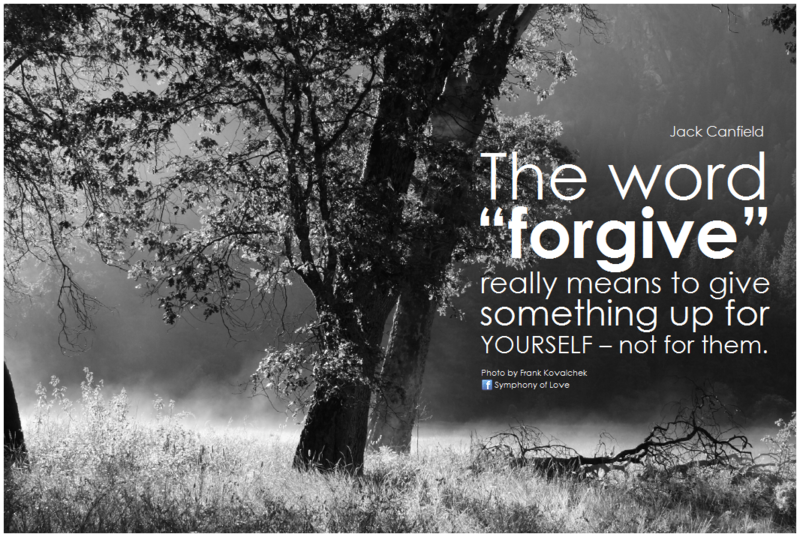 It just makes sense that forgiving is something that we do for ourselves. Don’t let the inability to forgive harden your heart. I’m working on it even as I write.